Hartsville, S.C. – June 18, 2018 – Coker College President Dr. Robert L. Wyatt has accepted a new four-year contract offered by the college’s Board of Trustees, confirming his leadership through 2022. Dr. Wyatt assumed his duties as the 16th President of Coker College on July 1, 2009, with a compelling commitment to “redefine ready” for Coker students. Since his tenure began, Dr. Wyatt has overseen the addition of five graduate degree programs as well as bridge agreements with six South Carolina technical colleges, a partnership with the South Carolina Governor’s School for Science and Mathematics Accelerate program, the expansion of Coker’s campus, an increase in enrollment, the addition of athletics teams, and a comprehensive plan for meeting the needs of today’s college students, which includes substantial numbers of first-generation students, students coming from under-resourced high schools, underrepresented students, and adult-age students. The community, both on campus and off, have embraced Dr. Wyatt and his vision for Coker College and its ties to Hartsville. One of Dr. Wyatt’s goals has been for Coker to graduate students who make a life-changing difference, and that commitment is reflected in the significant role community service plays in the lives of the student body. In his inauguration speech, Dr. Wyatt said, “A student of Coker College must have the opportunity to experience the difference he or she can make. Rest assured, there are many, many needs in our town, our state and around the world. If we greet this challenge, our students will be ready to expand their reach, their impact, and to truly make a difference.” In the last year alone, Coker students contributed over 7,400 service hours to Hartsville and surrounding communities. Another goal has been to expose Coker students to real-world experiences and different circumstances prior to graduation; many have interned with local businesses and organizations, and all traditional undergraduates are required to study away or abroad. Evolving student demographics mean that today’s students face a different set of challenges than previous generations, and Coker is making tremendous strides to improve and expand services for the modern-day student. In an effort to ensure the needs of today’s students are addressed effectively, Coker has added numerous student success initiatives during Dr. Wyatt’s tenure, including an institutional reorganization that focuses on more effective student communication, support, inclusion, and retention. 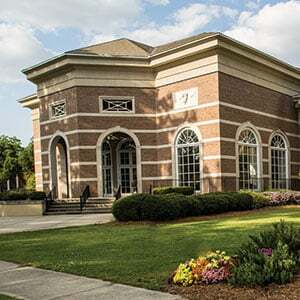 Coker has seen the addition of five graduate programs, four of which are online, and two online undergraduate degree programs, in an effort to make higher education even more accessible and manageable. Recognizing the importance of technology and our ever-increasing dependence on it, Dr. Wyatt has pushed for forward-thinking measures that place Coker on the cutting edge of modern learning. In addition to adding online master’s and bachelor’s degree programs, Coker is launching AccessCoker this fall, a program through which incoming first-year students will receive a brand new iPad® and Apple Pencil® to help them easily access learning materials and prepare for 21st-century careers. Under Dr. Wyatt’s leadership, the number of athletic teams at Coker has more than doubled since taking the helm in 2009. Coker currently competes in 24 NCAA Division II sports, including field hockey, which is returning to campus this fall after a 40-year hiatus. Back in 2014, Dr. Wyatt helped Coker transition to the South Atlantic Conference (SAC) from Conference Carolinas. Beginning in 2018-2019, another new addition to Coker Athletics is esports, also known as organized, competitive multiplayer video gaming. Coker is also a member of the National Association of Collegiate Esports (NACE) and one of approximately 60 colleges and universities competing in collegiate esports across the country. Dr. Wyatt introduced Enactus (formerly SIFE) to Coker College. Enactus is an international organization that connects student, academic and business leaders through entrepreneurial-based projects that empower people to transform opportunities into real, sustainable progress for themselves and their communities. Coker is one of 440 active Enactus teams in the United States and currently has 31 participating students. Coker College Enactus was recently named third in the nation at the Enactus United States National Exposition held May 20-22, 2018, in Kansas City, Missouri. Through tenacious fundraising of over $33,000,000 and careful planning, Dr. Wyatt and his team have facilitated the construction of the Harris E. & Louise H. DeLoach Center, a 71,000 square foot, state-of-the-art athletic facility; the construction of two residence halls––the Betty Y. and Charles L. Sullivan Jr. Residence Hall and the Susan K. and Walter N. George Residence Hall; the renovation of the building for and naming of the Wiggins School of Education; and is finalizing the plans for a future school of business for Coker College. Under Dr. Wyatt’s leadership, the college’s endowment has grown by 43%, or $14,000,000, since 2009, and Coker College provides students with more than $10,000,000 in institutional scholarships and aid every year. Formerly, Dr. Wyatt was Dean of the Breech School of Business Administration at Drury University in Springfield, Missouri. For a brief time, he served as Drury University’s Associate Dean for the College of Graduate and Continuing Studies. He began teaching at Drury in 1996, during which time he was named a Sam Walton Fellow and co-founded the university’s acclaimed Students in Free Enterprise program. Prior to that, he was Dean of the McAfee School of Business Administration at Union University in Jackson, Tennessee. Dr. Wyatt serves on the board of the South Carolina Tuition Grants Commission. He is a member of the Hartsville Rotary Club and a committee member of the NCAA Division II Membership Committee. He is also the past president of the board of directors of the Greater Hartsville Chamber of Commerce, past member of the NCAA President's Council, and a member of the NCAA President's Council Planning and Finance Subcommittee. Dr. Wyatt holds a Ph.D. in accounting from the University of Memphis (1993), a master’s degree in accounting from the University of Arkansas at Fayetteville (1989), and a bachelor’s degree in business administration from the University of Central Arkansas (1983).